Also knows as Puducherry, Pondicherry is a French-colonized city in India. Pondicherry was under French rule until the early 1950’s, which means it’s a perfect blend of romantic France and lively India. A popular tourist destination with beaches, colonial buildings, churches, temples, and statues, many people are drawn to the city by its vivacious culture and beautiful scenery. Whether you consider yourself an adventurer or a lounger, you’ll find Pondicherry has something for everyone. 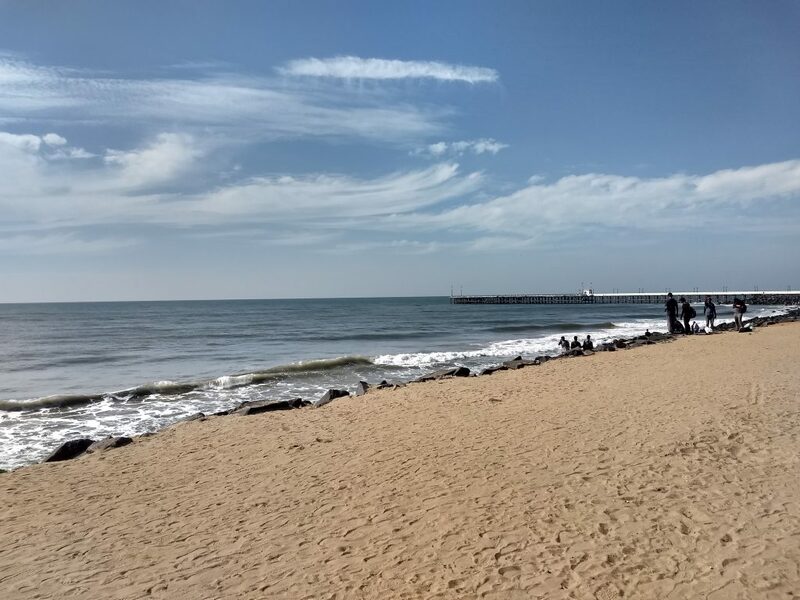 This beach stretches 1.2 kilometers along Pondicherry and features a statue of Gandhi. A beautiful place for tourist photos that offers the relaxing sound of the sea, Promenade Beach is a popular attraction for tourists and locals for its beauty. When you’re done with your busy day, take a walk along the beach and pop into some of the tea and souvenir shops. Whether you’re watching the sun set or sun rise on Promenade Beach, this is the perfect place to take a deep breath and relax. The Botanical Gardens reflect the rich French culture brought to India. The French brought with them exotic plants not originally native to India that have thrived in the gardens. With more than 1500 species of plants, this is one of the most beautiful, serene places in India. The Botanical Gardens are a great place to take the entire family as they offer shows during the evenings, toy train rides, and an aquarium. Fun for both you and your kids, this is definitely a place where you should spend your time and take in a breath of fresh air. This temple was built before the French arrived in Pondicherry. It is dedicated to the Hindu god, Ganesha. 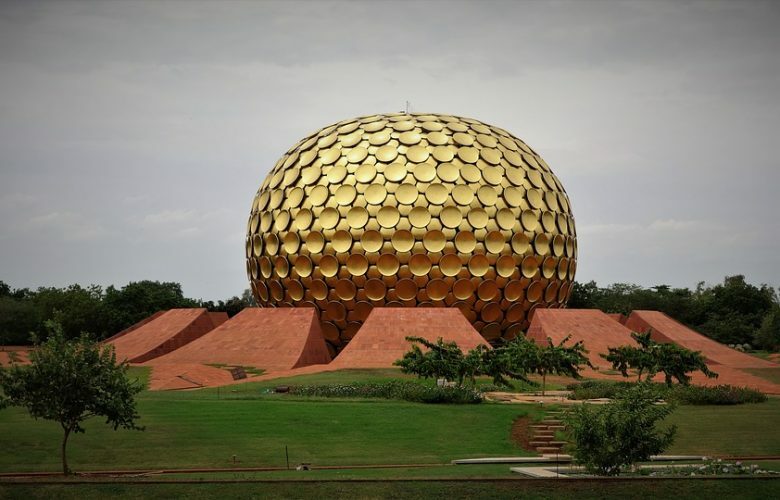 Because it predates any French influence of Pondicherry, the temple purely reflects Pondicherry Indian culture. The interior of the monument is decorated with the interpretations of different incarnations/forms of Ganesha, carved in stone. This temple is very special because it comes with its own elephant. Lakshmi the elephant stands outside the temple to take donations from tourists. She’ll even bless you with her trunk. If you enjoy art and history, this is the place for you. A great educational activity for the whole family, the Pondicherry museum has sculptures, fossils, and all types of art on display from both Indian and French culture. If weapons are more your thing, you’ll also find guns and swords dating back to different periods. The Pondicherry Museum also has one of the largest collections of rare bronzes from the Chola Dynasty. If you’re the type of tourist who likes to learn about the places they visit, this is a great place to go and find some history about Pondicherry and French culture. The Chunnambar Boat House is not technically located in Pondicherry, but in Ariyankuppam, only 8 kilometers away. You can go boating, take a backwater boat tour, and even have a picnic. They offer all types of rental boats, so you can pick what fits you and your family best. If you love to take-in your surroundings and spend time outside, this will be your favorite part of your trip. This is the perfect day-activity for nature-lovers who want to spend quality time with their family in a beautiful setting. If you want to see everything you possibly can, you take a guided tour around Pondicherry on vintage bicycles. You can also find walking tours with English speaking guides, but the bicycle trip is much more fun for families and people who love adventure. You’ll explore the city and its people with a tour-guide in about two hours from 7-9 in the morning. Once you’ve finished your bike-tour, you’re also provided with breakfast. These guided tours are great for people who are first-time Pondicherry tourists and want to learn more about the city before deciding what they’d like to do on their vacation. The tour is also beneficial because it will help you get a better idea of how to travel around Pondicherry with and without a map. Pondicherry is a vibrant city with lots of history. Whether you’re the type of traveler who likes to relax or the kind who enjoys constantly doing activities, Pondicherry is the place for you. From beaches to temples and everything in-between, this city has so much to offer, including a vibrant nightlife. Worried about where to lay your head at the end of the day? You’ll find many hotels in Pondicherry close to the attractions that you want to visit most. You’ll also find souvenir shops along the way to pick up gifts for your loved-ones back home.